Helena Good has struck gold again, this time by tempting Telford graduate and YCN winner Gemma Rundell back to her old stomping ground to deliver a talk to the NC students. Gemma will be looking at research, concept development, sketchbook work, and the general approach designers need to take to interpreting briefs. The talk will take place on Monday 17th Jan at 2pm in R310. 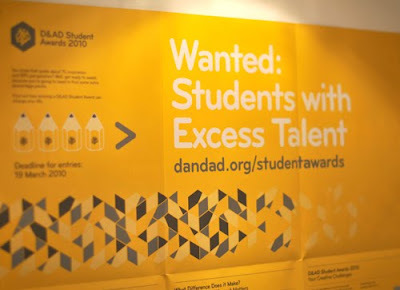 With a new set of D&AD briefs circulating amongst the students, you may have noticed that the print visuals for the 2010 awards materials are pretty awesome. That's because they have been created by none other than Neville Brody and his team at Research Studios. 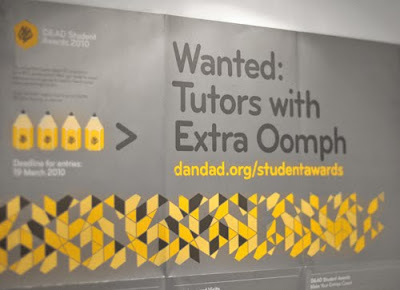 The new concept is a real celebration of teaching and learning, and features a brilliant double-sided Wanted poster “tutors with extra oomph” for the academic audience and “students with excess talent” developed for those of you applying your creative skills to the briefs. 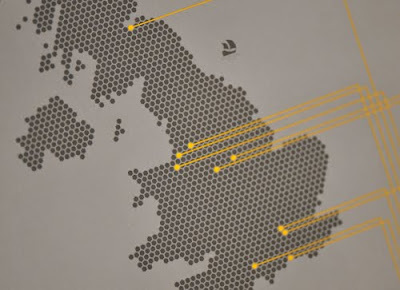 Check out the great locations map - the spot in Scotland includes Edinburgh's Telford College! You can check out a large selection of the work at Research Studios.